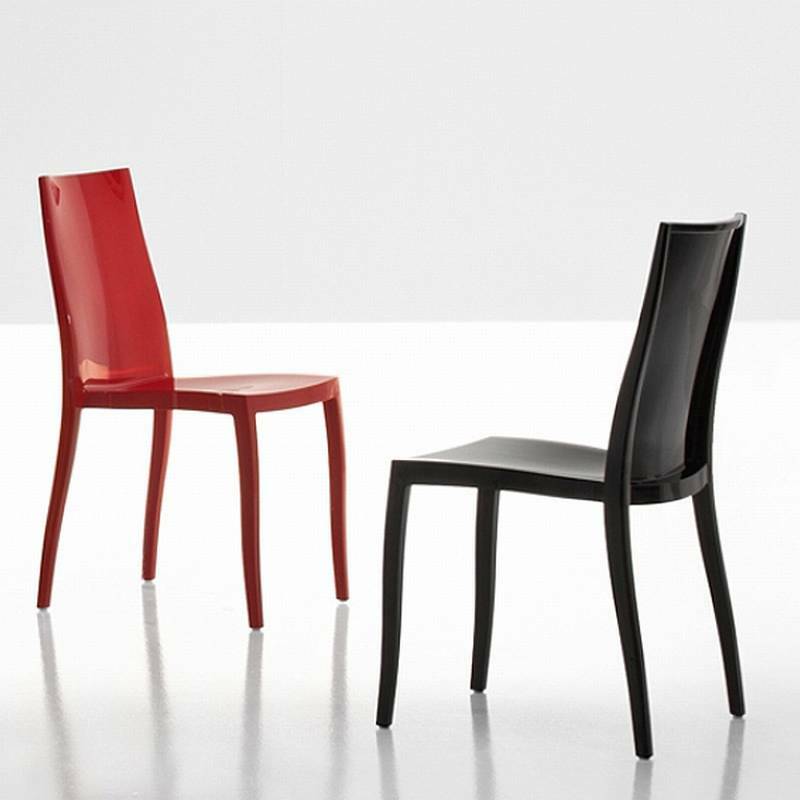 Description Stackable dining chair made in a single piece using a gas injection mould. Made of transparent glossy polycarbonate or coloured glossy polyamide. Stable, comfortable and suitable for indoor and outdoor use.